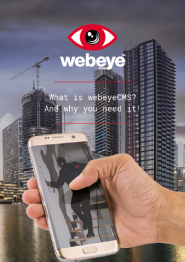 What is webeyeCMS and why do I need it? 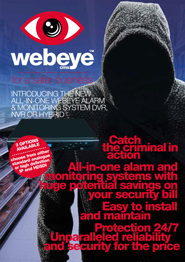 Explains the award winning benefits of webeyeCMS and what make is the worlds best cloud monitoring and alarm platform. Easy to understand diagram to explain the benefits of webeyeCMS and to show what makes webeyeCMS unique. 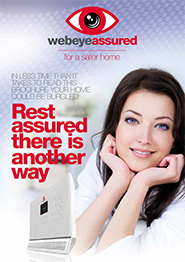 The fastest alarm delivery in the domestic market. 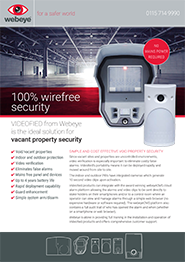 webeyeassured is our new security solution with incredible benefits and features designed to make it the best system in the residential market. 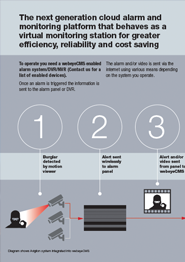 If you are looking for a reliable and cost effective all-in-one alarm and monitoring system, this 4 page brochure will give you an introduction and benefits of the webeye alarm system DVR. 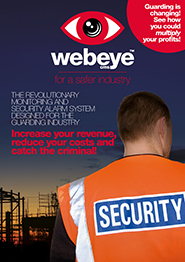 If you're involved in construction site security this 4 page brochure will give you an introduction and insight into the benefits of webeye for your sector. 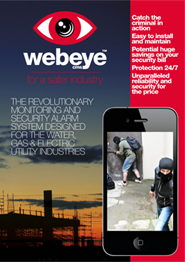 If you are involved in the water, gas or electricity industry or any sector where remote site security is a priority, this 4 page brochure will give you an introduction and insight into the benefits of webeye for your industry. 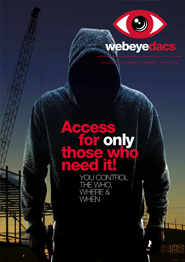 The webeye digital access control system (webeyedacs) is an innovative new product designed to offer sophisticated entry code and property management. 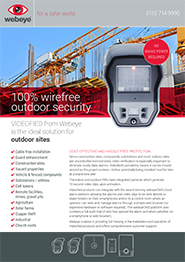 Whether you operate locally, regionally, nationally or globally you can't afford not to download this 4 page brochure to see how you could multiply your profits. 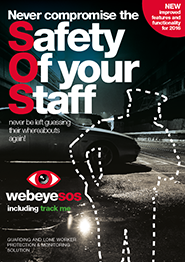 See how webeyeSOS can increase guarding and lone worker security and webeyeSOS 'track me' can help you monitor staff whereabouts. 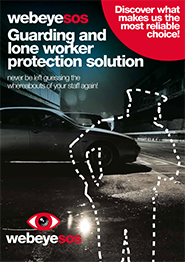 New and enhanced functions for 2016 include 'mandown' and 'check-in' which improve the already comprehensive safety features. 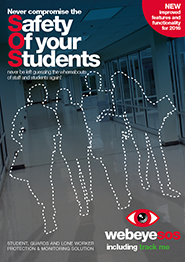 In light of recent incidents there is even greater importance placed upon campus security and student safety. 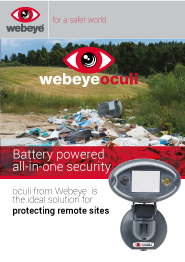 WebeyeSOS is an ideal tool to monitor the whereabouts of students and staff and offers improved reassurance to the user. 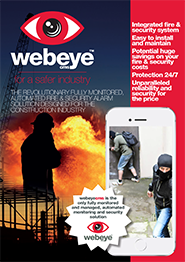 A brief description of why webeyeSOS is the most reliable choice for guarding and lone worker protection. 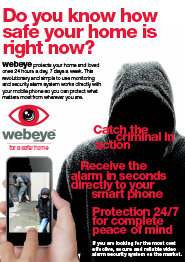 A 2 page brochure giving a brief introduction and benefits of webeye for domestic use. 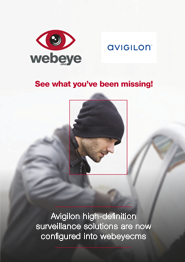 A brief introduction to the all-in-one security system integrated with webeye secure alarm delivery.